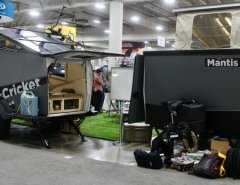 MSRP: Starting at around $ 82,810 – $108,791 USD (Options and “build your own” pricing). 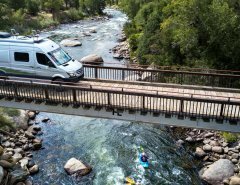 The 2015 Thor Four Winds 29G Class C Motorhome is the perfect motorhome for the large family, with a much smaller price tag than the Class A. 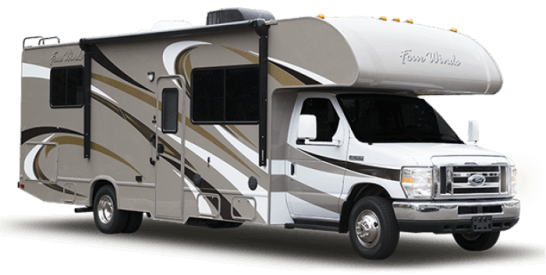 Like all of Thor’s RV motorhomes, this 29G model is quality and luxury, in a smaller package. 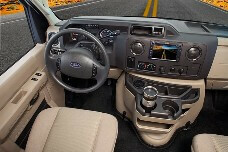 Options galore as well as a plethora of interior and exterior design packages, there is no way to not love this model and floor plan. 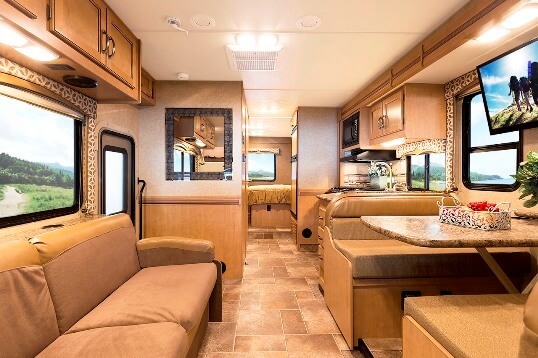 It is well designed, spacious and very attractive and starts in the front of the RV cab which contains an overbunk of 55” by 87” providing additional sleeping for more kids, relatives or friends. A 66” jackknife sofa features comfortable seating during the day and is easily turns into sleeping space at night. 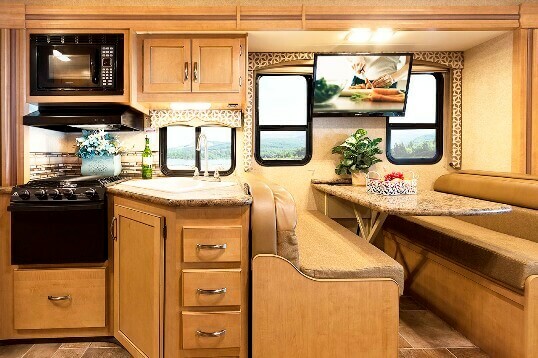 A booth dinette is across from the sofa and part of the driver’s side front slide. 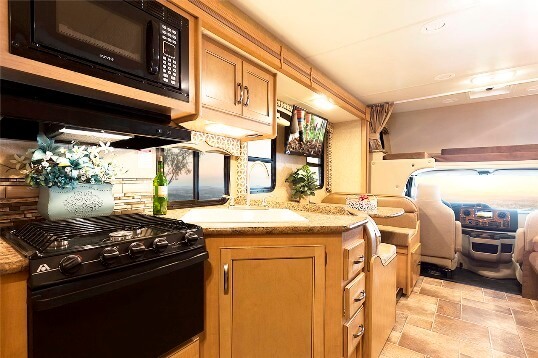 The kitchen is ample and incredibly attractive with amenities that include the same features as large Class A motorhomes. A large kitchen sink, 3 burner range with a microwave above and a refrigerator provides everything needed to prepare your family’s meals. 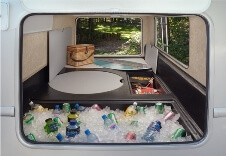 Toward the back of the RV, is a side aisle bath that features a 24 x 36 shower, a commode and sink with extra counter space. The bedroom has a luxurious feel with a Denver Mattress® queen size bed offering you Best in Class sleeping comfort from those long days. In addition is a large waredrobe cabinet providing ample room for clothing and a dresser. 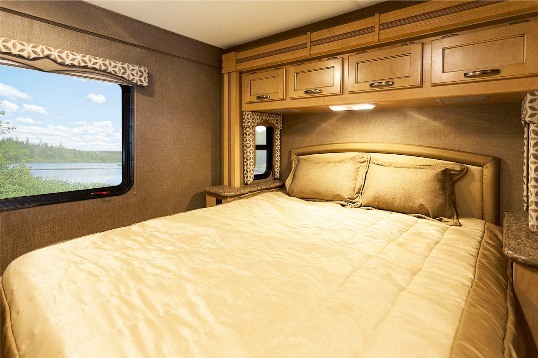 The Four Winds 29G sleeps 7 to 8 and contains 2 slide outs. 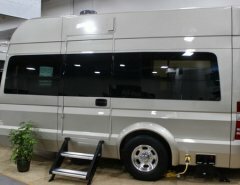 Add to that the exterior ammenities of an exterior kitchen and the MEGA-Storage™ compartment, this is truely one fantastic motorhome for the small to large family that likes to travel, and with features that are durable and beautiful for any family’s aesthetic sensibilities with well thought-out function and spacious style. 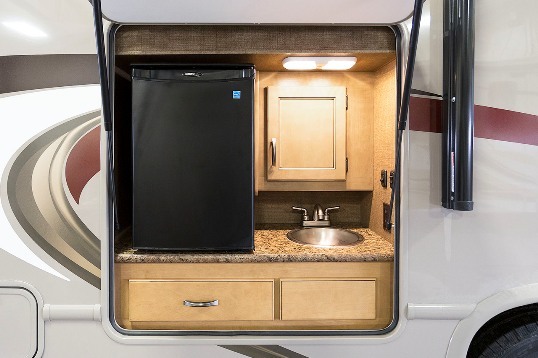 Thor has again designed with the end user in mind, focusing on living, sleeping and storage space.